A white man who spewed racial epithets before and after a shotgun attack on three black men amid the chaotic aftermath of Hurricane Katrina in New Orleans has been sentenced to 10 years in federal prison. 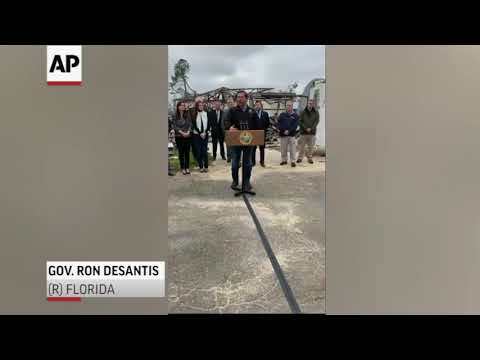 TALLAHASSEE, Fla. (AP) — Florida Gov. Ron DeSantis's push to bridge partisan and racial divides following his narrow election last year is being tested by the revelation that one of his top hires had dressed up in blackface and mocked Hurricane Katrina victims. BATON ROUGE, La. (AP) — Louisiana welcomed federal flood-protection money in the wake of Hurricane Katrina in a deal that didn't require the state to begin repaying its share for a decade. But now that bill is coming due, and it has ballooned to a dismaying $3 billion because of accumulated interest. 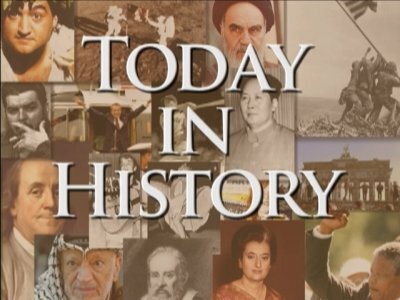 NEW ORLEANS (AP) — A New Orleans minister has been convicted of stealing a $33,000 home repair grant after Hurricane Katrina. NEW ORLEANS (AP) — It took more than eight years and millions in taxpayer subsidies for the historic Circle Food Store in Treme to reopen after Hurricane Katrina. Now, just four years after the grocery store and neighborhood landmark returned to business, its owners are on the brink of shutting it down, mired in debt and fighting their own family in court over money they claim was embezzled from the business. HOUSTON (AP) — Transit officials in Houston have halted a TV commercial praising the agency's response to last year's Harvey flooding because the spot wrongly showed 2005 video from Hurricane Katrina in New Orleans. NEW ORLEANS (AP) — In a dynamic before-and-after project, a nonprofit organization has partially restored a home ravaged by a catastrophic rush of floodwater when a New Orleans levee failed 13 years ago during Hurricane Katrina, re-creating two rooms to look like a typical home might have appeared the day before the storm — right down to the newspaper on the coffee table with the headline "KATRINA TAKES AIM." NEW ORLEANS (AP) — The New Orleans Public Library system has reopened the last of six libraries destroyed in 2005 by Hurricane Katrina. NEW ORLEANS (AP) — A warehouse in eastern New Orleans will be the new home of Dixie Beer, a nostalgia-evoking New Orleans brand that has been brewed out of state in the nearly 13 years since Hurricane Katrina laid waste to its landmark brewery near the city's business district. NEW ORLEANS (AP) — A Tulane University-based research group says New Orleans public schools saw sustained improvement in achievement scores, high school graduation rates and students' college performance after Hurricane Katrina. The Education Research Alliance for New Orleans study credits reforms implemented during a state takeover of most of the city's schools with the improvements. NEW ORLEANS (AP) — The Department of Homeland Security has decided New Orleans can keep $2 billion in Federal Emergency Management Agency grants approved to fix sewers and water pipes damaged by Hurricane Katrina, U.S. Rep. Cedric Richmond said Friday. The department's inspector general's office released an audit last July saying FEMA should take back the money because the pipes were in bad shape before the 2005 storm, and the city lacked paperwork to prove damages were disaster-related. GULFPORT, Miss. (AP) — The man credited with helping to "get the lights back on in 11 days" as Mississippi's Gulf Coast recovered from Hurricane Katrina has died at the age of 68. News outlets report former Mississippi Power Co. President Anthony Topazi died Friday from complications from ALS, known as Lou Gehrig's disease. The Alabama native was at the utility's helm in when Katrina hit on Aug. 29, 2005. By Sept. 10, power was restored in southern Mississippi. VIOLET, La. (AP) — The former owners of a Louisiana nursing home where 35 patients died during Hurricane Katrina have opened an assisted living facility on the same property. NEW ORLEANS (AP) — A trial date has been set for a white man accused of shooting at three black men in what federal prosecutors said was a racially motivated attack following Hurricane Katrina. NEW ORLEANS (AP) — Ten years ago in the summer of 2008, work began on one of the most daring post-Hurricane Katrina recovery projects, movie star Brad Pitt's architecturally avant-garde Make It Right neighborhood in the Lower 9th Ward. Most of the strikingly angular homes still glitter like pastel gemstones, but the project's 10-year anniversary is tainted by an obvious example of blight. NEW ORLEANS (AP) — The new "haunted history" museum on North Rampart Street features some of the typical highlights of any French Quarter "ghost tour." There are images of Delphine LaLaurie, notorious for torturing and perhaps killing her slaves, and Marie Laveau, the renowned Voodoo priestess. But follow the ghoulish-looking hand on the wall, which points you toward a staircase leading to the second floor, and you are confronted with something less familiar. NEW ORLEANS (AP) — When he was entering his senior year at Benjamin Franklin High School in New Orleans, Adeyele "Yele" Akanji had been certain of his life's trajectory: "I always thought it would be Ben Franklin, then LSU, then life." But that was in August of 2005. He had no idea how far off course he would be taken by an approaching storm. NEW ORLEANS (AP) — A mural that covered the wall of a pioneering New Orleans bar is back on display for the first time since Hurricane Katrina. VERRET, La. (AP) — A former president of St. Bernard Parish before and after Hurricane Katrina has died after a long-term illness. Multiple media outlets report Parish President Guy McInnis confirms that Junior Rodriguez died Thursday at his home in Verret, about 26 miles (41.84 kilometers) southeast of New Orleans. He was 82. PASCAGOULA, Miss. (AP) — One of Mississippi's largest employers, a shipyard that builds vessels for the Navy and Coast Guard, announced Thursday that it is rebuilding and reopening part of its operation that was destroyed by Hurricane Katrina in 2005. Virginia-based Huntington Ingalls Industries said Ingalls Shipbuilding is reconstructing a shipyard in Pascagoula over the next two years. Scrawled on well-worn blue jeans are a man’s name, social security number, blood type, wife’s name, hotel where she was evacuated for safety and the hotel phone number. Claudio Hemb wanted to ensure that his body would be identified and his family notified if he perished in Hurricane Katrina’s floodwaters. NEW ORLEANS (AP) — A New Orleans high school is looking for seniors who were not able to graduate with their class because of Hurricane Katrina. Patrick Widhalm of Benjamin Franklin High School says the school will award honorary diplomas to members of the class of 2006 who didn't come back after the August 2005 hurricane. GULFPORT, Miss. (AP) — Mississippi's second-largest city could use recovery money from 2005's Hurricane Katrina to seek a solution to a neighborhood's flooding problem. Louisiana hurricane survivors have sued the federal Environmental Protection Agency for stalling the enforcement of rules governing formaldehyde. The issue hits close to home for the New Orleans-based group A Community Voice because formaldehyde was used in building FEMA trailers deployed after Hurricanes Katrina and Rita in 2005. More than 500 people from Puerto Rico have signed up for help at a North Philadelphia disaster relief center since Hurricane Maria made landfall on the island Sept. 20. Behind plastic tables, laptops and stacks of paper, city and relief workers ask the displaced what they&rsquo;ve lost in the Category 4 storm and what they need to piece their lives back together. NEW ORLEANS (AP) — The godfather of rock and roll. A performer who always gave all he had. A man who loved his city and his neighborhood. Tributes to Fats Domino are accumulating, in words and in bouquets and Mardi Gras beads left at the yellow house in New Orleans where, after Hurricane Katrina, a fan spray-painted an erroneous RIP. Hurricane Harvey dumped enough rain on Texas to fill the entire Chesapeake Bay. Widespread flooding caused an estimated $190 billion in damage, meaning Harvey could be the most expensive storm in American history. The hurricane hit the energy sector particularly hard. NEW ORLEANS (AP) — Don't give up. Do get counseling. Don't look back. Survivors coped with problems for years after Hurricane Katrina decimated coastal Mississippi and Louisiana and flooded New Orleans. Now they have hard memories and hopeful experiences to share as southeast Texas, Florida and Puerto Rico begin to recover from this year's hurricanes. WASHINGTON (AP) — President Donald Trump on Thursday introduced his choice to lead the Department of Homeland Security, a former staffer at the sprawling post-9/11 federal agency who he says will need "no on-the-job training" for the lead role. Trump also called on Congress to "put politics aside" and confirm deputy White House chief of staff Kirstjen Nielsen by a "strong, bipartisan vote." It is a difficult task to turn the memory of  Hurricane Katrina into a quaint story of well-meaning government actors unable to save a city from destruction. President Donald Trump managed to do that on Saturday morning when he essentially blamed Puerto Rico and the mayor of San Juan, in a series of tweets, for the devastation they are facing. From his own golf club, Trump attacked rather than reflected and helped. In a story about hurricane categories, The Associated Press erroneously reported that at least 1,800 people died in Hurricane Katrina. As many as 1,800 people died, though some estimates are lower. The AP also reported that Hurricane Andrew caused more than $20 billion in damage. Andrew caused $26.5 billion in damage in 1992 dollars (about $50 billion in 2017 dollars), according to the National Weather Service. MICHIGAN CITY — Michigan City resident Jim Epstein has seen a lot in his life. Epstein, who still lives in Michigan City and works as a general contractor, also does double duty working for FEMA, inspecting houses that have been ravaged by natural disasters. Epstein is currently in the Florida Keys, helping with the recovery effort from Hurricane Irma. NEW ORLEANS (AP) — A mental health examination was ordered Tuesday for a white man charged with shooting at three black men in what federal prosecutors said was a racially motivated attack following Hurricane Katrina. Roland Bourgeois Jr. was indicted in 2010 and pleaded not guilty to federal charges including civil rights and firearms violations. His federal trial has been postponed more than a dozen times amid questions about his physical and mental health.